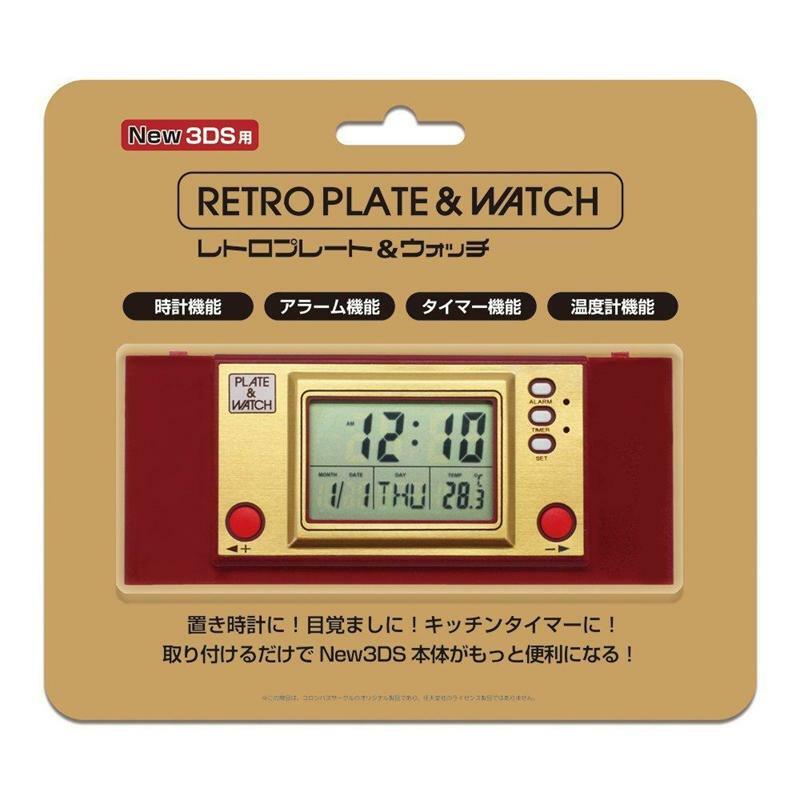 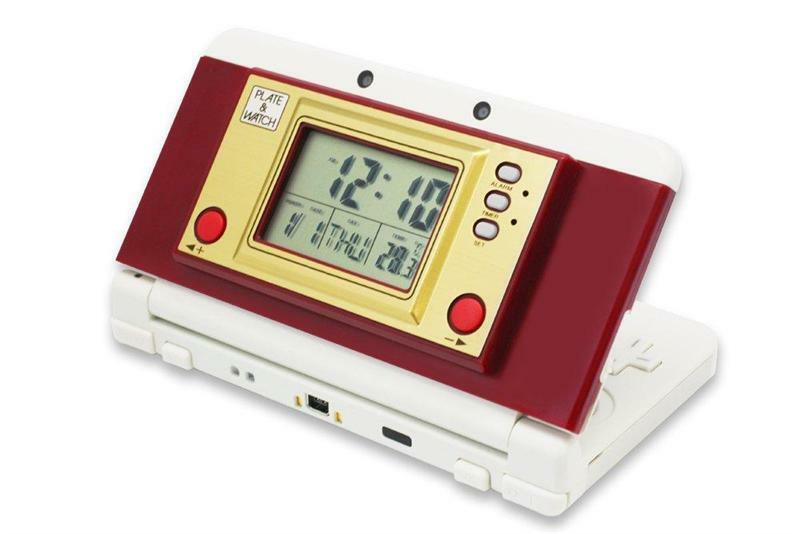 Add old school 'Game & Watch' charm to the top flap of your New Nintendo 3DS with the Retro Plate & Watch accessory which features clock, alarm, timer, and thermometer functions. 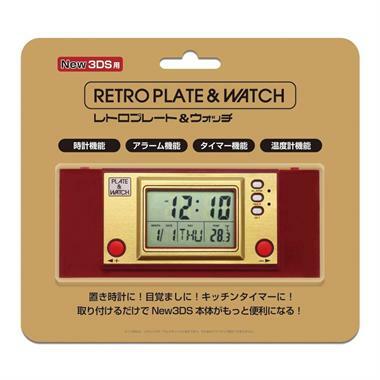 The accessory runs on a single CR1632 3V coin battery. 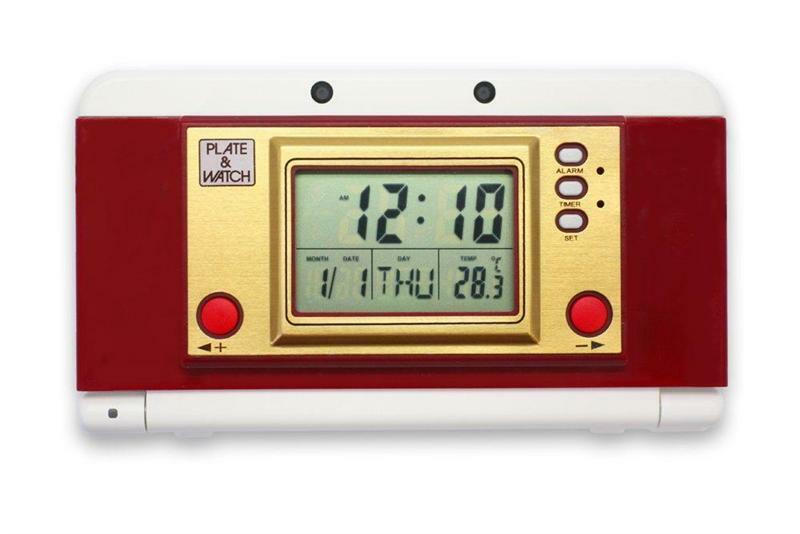 Preorders are welcome to ship in late September 2015.